TACLOBAN City – Senator Ferdinand “Bongbong” Marcos Jr. and Leyte Rep. Ferdinand Martin Romualdez yesterday lamented that mudslinging and politicking are hampering the recovery of Yolanda survivors here as Mayor Alfred Romualdez denied that he was not cooperating with the national government in pushing the long-term rehabilitation of Eastern Visayas economic hub. “Political mudslinging started very early. We have not progressed as well as we wanted to because of politicking,” Marcos said. Martin Romualdez, head of the House independent bloc, pointed out that “politicking has no place in times of national emergencies and disasters,” saying it should be set aside to prioritize people’s needs. He said the government should work on implementing programs that would promote new decent jobs for Filipinos especially Yolanda victims as soon as possible. “Let’s give priority to projects that would help the Filipino people and rebuild the lives of Yolanda survivors. 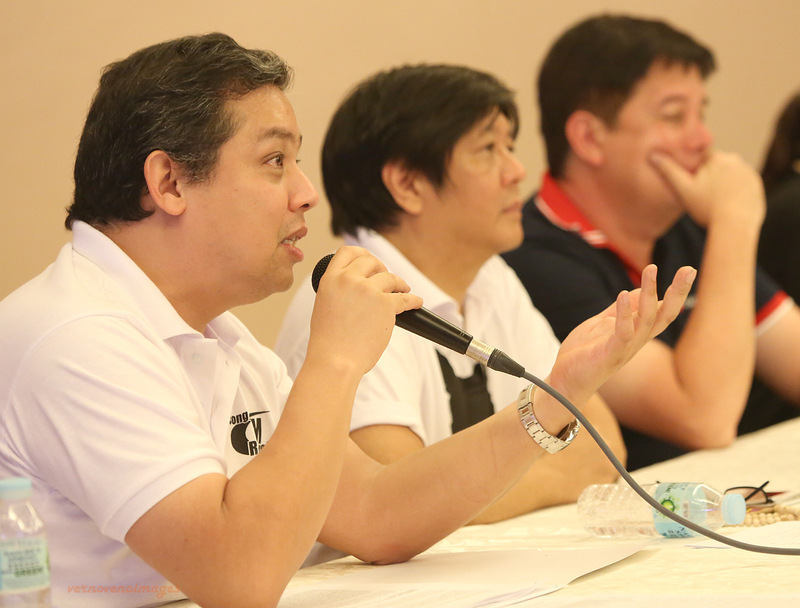 This is more important than playing politics,” Martin Romualdez said. Alfred Romualdez denied the allegation made by Presidential Assistant for Rehabilitation and Recovery (PARR) Secretary Panfilo Lacson that he was not cooperating with the recovery effort. “We submitted all the requests in the master plan way back April, May kaya in fact I remember maraming nagtatanong sa akin how do I feel that the President approved it and I couldn’t really answer kasi di ko pa nakita kung ano ang na-approved sa master plan,” Mayor Romualdez said. “And I heard again last week na pinirmahan na ang master plan and up to now we are still getting a copy kung ano ang napirmahan para makita lang namin kung ano ang naaprubahan,” he said. Mayor Romualdez insisted that the Aquino administration should focus on making permanent housing in the concept of “build back better” to restore many lives to normalcy, complaining that only less than 200 units out of the estimated 14,500 needed units were built exactly one year after super typhoon “Yolanda” wreaked havoc on vast swaths of the Central Philippines. Out of the 200 permanent housing units, the mayor said half were constructed through the efforts of the various non-government organizations (NGOs), including the GMA Kapuso Foundation. He lamented that the national government failed to allocate funds for the construction of permanent housing, stressing it only financed bunkhouses with many victims still remaining in the so-called tent city. In fact, Romualdez recalled that the national government gave financial assistance only five months after Yolanda hit the country. The aid included funds for livelihood and P180-million exclusively for the rehabilitation of office buildings. It was only last October 29 or almost a year when President Aquino finally approved the 8,000-page P167.9-billion Yolanda Comprehensive Rehabilitation and Recovery Plan that Lacson recommended. The “build back better” plan covered resettlement, infrastructure, livelihood, and social services in 171 cities and municipalities ravaged by the powerful typhoon. Super typhoon Yolanda affected 1.5 million families of whom 918,261 were displaced outright. Government official figures placed at 6,300 the dead from the disaster with 1,061 missing and 28,689 injured.